About a month ago I receiver my mission call and well… I felt and still feel (from time to time), a little upset, the reason is that I got sent to serve in a mission which is located about two hours away from my house. I see the look on people’s faces when I tell them where I’m going and what I perceive from it is sorriness, and they try to say something good about it without realizing that their expression has said everything for them. Although, that’s not what affects me, what really makes me feel bad is the fact that I no longer feel any kind of enthusiasm when I think about serving my mission. there’s also another thing that contributes to make this feeling grow, it is the fact that I have a problem in my left foot, which can’t be treated with surgery and well… I got sent to a mission where I’m gonna be walking all day long and don’t get me wrong, I’m not lazy at all, I love walking but have this injury in one of my phalanges which limits me in my movements and resistance and I feel that non of the things I wrote nor the documents I sent were taken into consideration. What should I do? I’m supposed to leave in nine days. I would like to speak with someone who could understand me, and not try to persuade me to go by making me think it will me alright no matter what, I just want some empathy from my leaders. My cousins live near that area and they aren’t members, I know they will try to see me while serving and they would feel offended if I ask them not to. that’s another thing that worries me. please help me. I understand the lack of enthusiasm for your call. Many missionaries experience that. If I were you, I would forge ahead and know that the enthusiasm will come. When you get to your mission and are out meeting people, love for them will swell in your heart and you will enthusiastically want to serve them. As for the situation with your foot, I would call your mission president and talk to him about it. You should have gotten his contact information in your mission call packet. 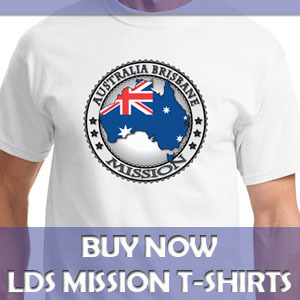 If you can’t reach him, you may try contacting the missionary department at Church headquarters. If you can contact your mission president, let him know about your foot problem, and I’m sure he will take that into account as he is making your specific area assignment. The prompting to serve where you are called came to you from someone else. Your next step after getting the call is to get a testimony of your calling, that you are needed in the area where you are called. This is a similar step to when you are invited to meet with your Bishop. You are not required to tell him right away if you will accept a prospective call. He will often invite you to think and pray about it. To come back later. You are invited to follow this same process with your mission call. Don’t yet sign any acceptance letter, don’t tell others about your call. Go to the source of the call and ask him for a desire to serve in that area. I wholeheartedly agree that you should pray and seek confirmation from the Lord that your call comes from Him. 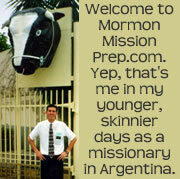 Please also remember that when you submit your mission papers, you state that you are willing to serve a mission wherever called. with confidence and trepidation, you submit. you were to be called of god. to go forth, without thought for yourself. hmmm…no thanks, my dad says I should go to germany. My son is not ready to go on his mission yet. 1 more year! I’m trying to figure something out though. Do your spoken languages come into consideration at all? I told my son that he should fill his spare blocks at school with a language and he thinks it would be a waste of time. He said he was told that they don’t even consider whether you have learned another language. The mission application form asks young people what languages they know and asks their proficiency, so it is definitely a factor they consider. Since two days , i always have this great feelings that i will be serving in the alaska achorage mission, and am from nigeria newbenin stake , eghosa ward 2 , i do say to my self this might come to pass , this might be were the lord wants me to serve, and i will be sending my letter soon, i continue praying , and still always felt this in me that i will be serving in alaska, my name is osa etinosa destiny roto.